With Synergy's global reach extending with every new international guest, they will look to Suzanne Smith to establish the procedural and organizational success of its international business. As Synergy Corporate Housing expands to a new larger space at their headquarter location in San Ramon, CA, they announce an important milestone in their international business, establishing global mobility and European relocation expert Suzanne Smith as its new European Managing Director. Suzanne Smith was most recently the Client Services Director at The Relocation Bureau, a Dublin, Ireland-based destination services company which provides corporate relocation assistance worldwide. After spending the last eight years with The Relocation Bureau earning multiple promotions and achieving recognized success, Suzanne will bring tremendous depth, knowledge and industry experience to Synergy as evidenced by her many accomplishments at The Relocation Bureau. During her tenure, she established and built a successful immigration division, developed internal quality standards resulting in The Relocation Bureau being awarded a DQS EuRA Global Quality Seal in 2008 and 2010. Suzanne continued to lead her team to success and received additional awards in 2011 and 2012. Suzanne is passionate about customer service, training, and ensuring her company establishes and follows proper procedures. With Synergy's global reach extending with every new international guest, Synergy will look to Suzanne to establish the procedural and organizational success of its international business. “We are very excited that Suzanne has chosen to join the Synergy Team and lead our EMEA service center,” says Executive Vice President, Rob McDaniel. “As Synergy continues to experience double-digit growth in both its domestic and international business, we look for passionate, proven leaders to run our operations. We are confident that we have found the right person in Suzanne.” Suzanne and her family will continue to reside in Dublin, Ireland as she acts as Managing Director of Synergy’s European Service Center. For inquiries, please contact Synergy at 1-800-600-1115 or visit http://www.synergyhousing.com. 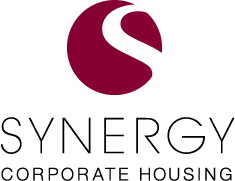 Synergy Corporate Housing is an innovative, global corporate housing company that offers furnished accommodations for short-term or extended stays. Synergy is recognized as one of the best in the industry at delivering cutting-edge, customized solutions to their client partners in order to help them meet their key business objectives. Founded in 1999, the company is headquartered in San Ramon, California, and has offices in San Francisco, Silicon Valley, Los Angeles, San Diego, and Dublin, Ireland. To learn more, visit us as http://synergyhousing.com.